Susan “Sue” Chace Burnham, 89, passed away on September 4, 2018 in Traverse City, Michigan. She was born on July 13, 1929 in Cincinnati, Ohio. 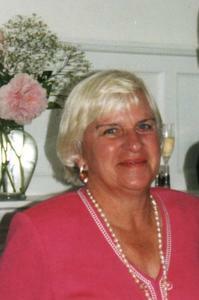 Sue graduated from Miami University in 1952 with a BA in Education and a minor in musical performance. Survived by her beloved husband of over 62 years, Lewis A. Burnham. Sue developed fond memories and lasting friendships over 15 moves throughout the Midwest, Japan, Ohio, Florida, and Michigan. Sue taught school in the Colerain school district, English to Japanese students, and the piano to many. She loved tennis, golf, and a good laugh at happy hour and will be remembered for her tremendous energy, enthusiasm, wit, and a welcoming smile for anyone lucky enough to cross her path. Surviving are her beloved daughter Liz (Tom) VerSchure, son Steve (Christina), son Jim (Lee) and cherished grandchildren Zak VerSchure, Nick VerSchure, Emily Burnham, Chloe Burnham, and Tristan Burnham. Sue was the devoted sister of the Late Robert, William, Benjamin, John, James Chace and sister-in-law Marian (Robert) Chace and also survived by nieces and nephews. There will be a celebration of her life at 2:00 pm on September 16, 2018 at the Central Methodist Church Chapel, 222 N. Cass Street, Traverse City, MI. 49684. Sue loved the choir at her church. Please direct donations to the Church in care of the Music Fund.